"A GIANT ACHIEVEMENT. A WORK OF GENIUS. A MOVIE MASTERPIECE. A profound emotional depth that transcends words. STUNNING. 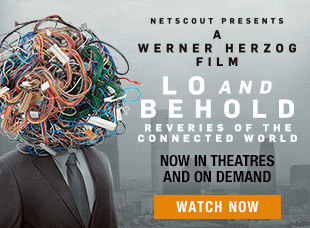 A MOVIE THAT LEAVES THE VIEWER IN A STATE OF ECSTACY. A moving masterpiece, marked by an astonishing profundity of vision." "A SPECTACLE IMPOSSIBLE TO TURN AWAY FROM. 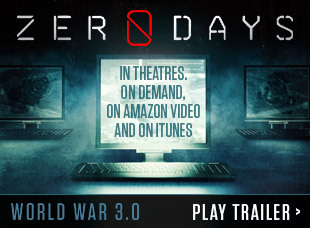 A MONUMENTALLY AMBITIOUS MOVIE. When I left the theatre, I felt light, rejuvenated and unconscionably happy." "AMAZINGLY ROMANTIC — LUSH, RIPE, RICH, DELICIOUS, CERTAINLY THE DIRECTOR’S MOST BEAUTIFUL FILM. EXCESSIVE IN EVERY WAY, AND YET RESTRAINED. 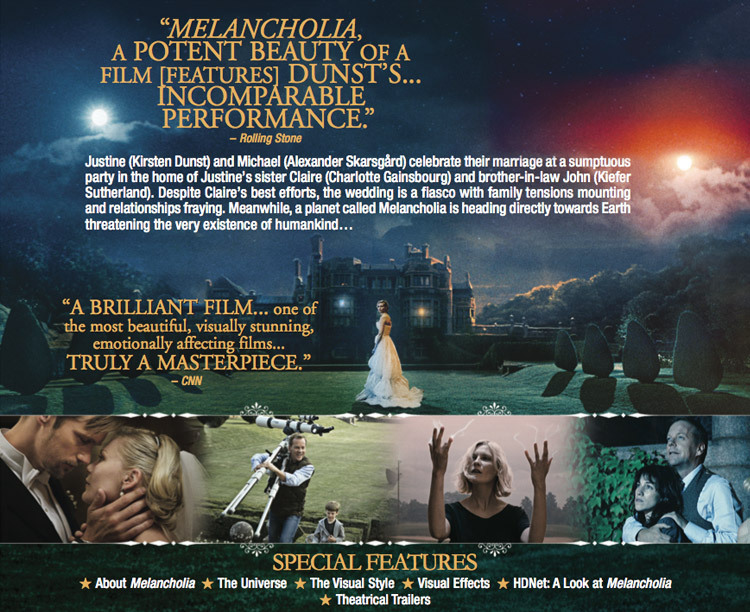 EVERYTHING AND NOTHING THAT YOU'D EXPECT A FILM CALLED "MELANCHOLIA" TO BE." "ONE OF THE YEAR’S BEST. 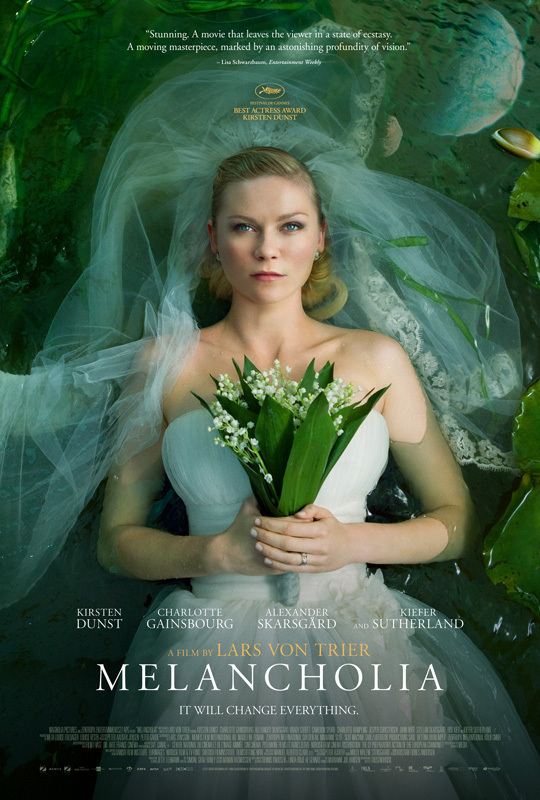 A career-defining performance from Kirsten Dunst"
"MAGNIFICENT. The glorious prologue was OVERPOWERING, UNLIKE ANYTHING I HAD EXPERIENCED BEFORE AT THE MOVIES. 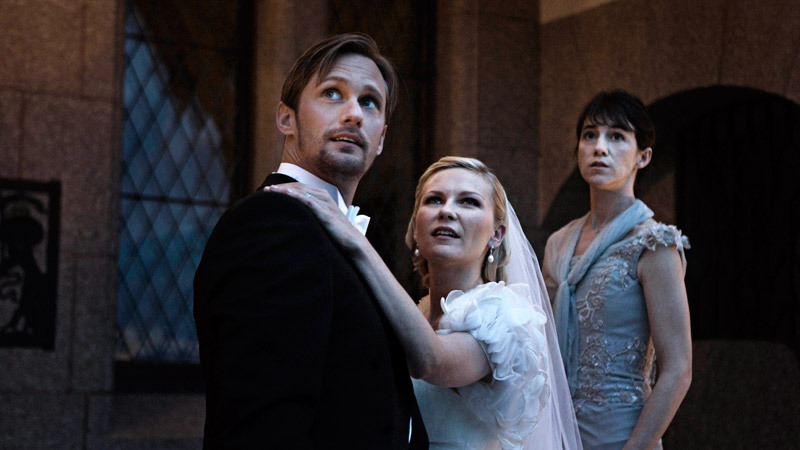 Kirsten Dunst gives her career performance." "SURELY ONE OF THE MOST SPECTACULAR SCREEN ACHIEVEMENTS OF RECENT YEARS. Gorgeous, profoundly emotional, often very funny and one of the most potent and effective visions of science-fiction apocalypse ever brought to the screen. 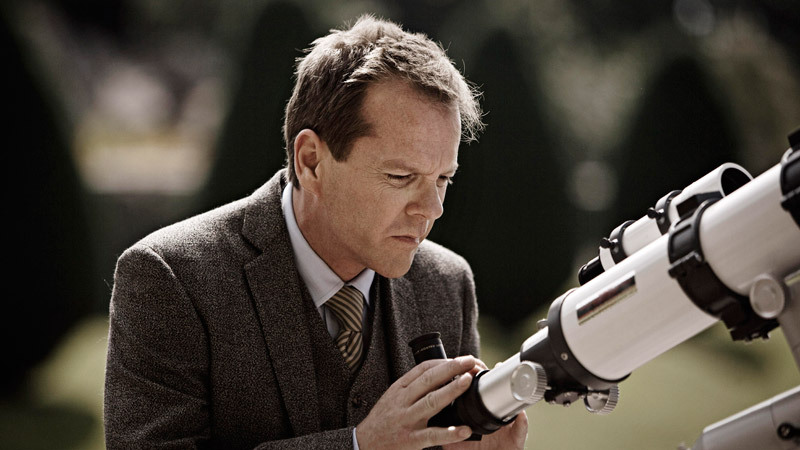 Von Trier's made something tender and exquisite and metaphysical and vulnerable." 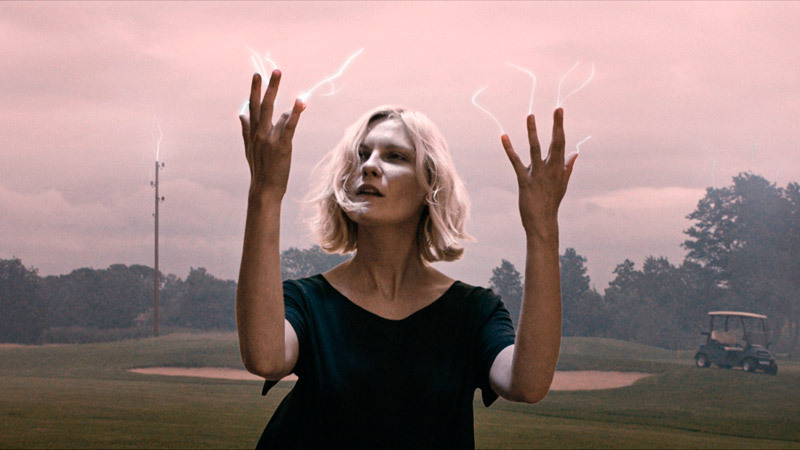 "Lars von Trier’s new spellbinder may be his most restrained, clear-minded, visionary work, AS WELL AS THE YEAR'S BEST FILM." "A WONDER TO BEHOLD. Perhaps the most visually stunning picture you’ll see this season." "A POTENT BEAUTY OF A FILM. 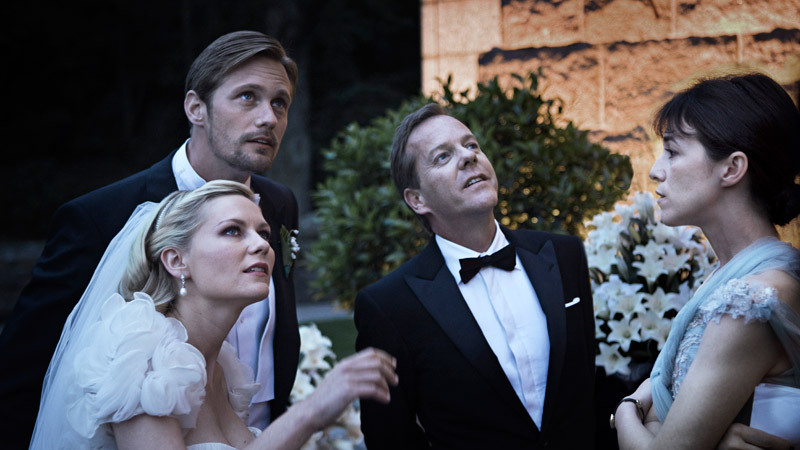 The luminous Dunst deservedly won the Best Actress prize at Cannes. Her incomparable performance, a slow accumulation of moods from despair to euphoria, never strikes a false note." "**** How wonderful it is that us dyed-in-the-wool Von Trier-haters will now require a rethink. 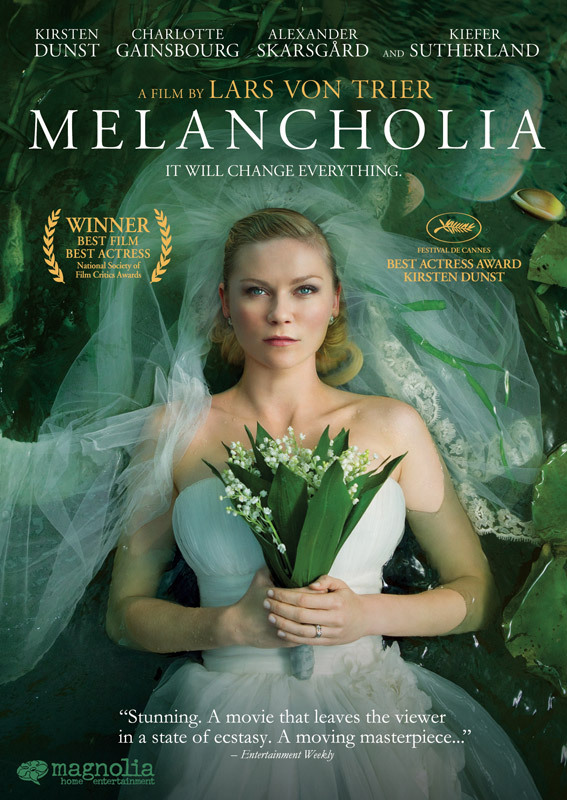 Melancholia marks the major return of the artist’s vitality. He’s back, bruised, AND THAT MUCH CLOSER TO BRILLIANT." "IT’S WORTH THE ADMISSION PRICE JUST TO SEE THE STUNNING SPECIAL EFECTS. 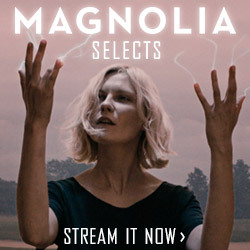 One of the year’s most emotionally resonant art movies. 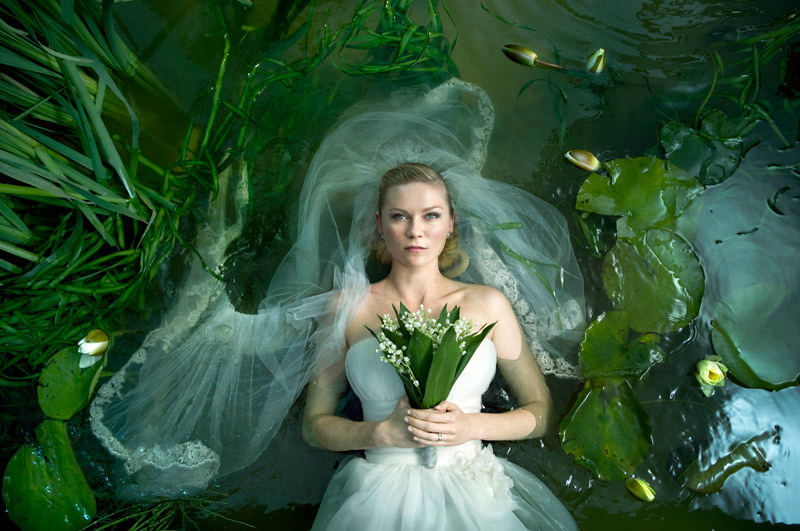 Kirsten Dunst gives one of 2011’s most affecting performances." "THE RAVISHING, MYSTERIOUS, AT ONCE BEAUTIFUL AND UNSETTLING IMAGES AREN”T ONLY MEANT TO THRILL, ALTHOUGH THEY DO. 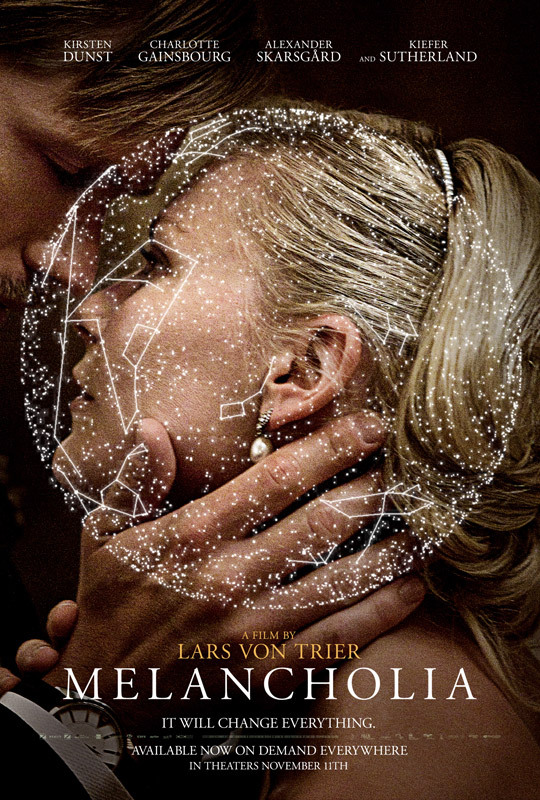 The wonder of Von Trier’s achievement is that ’Melancholia’ doesn’t feel miserable or depressing; IT’S NOT AN ORDEAL, BUT A JOURNEY." "IN THE FACE OF SUCH AN ACHIEVEMENT, WHAT CAN YOU DO BUT SURRENDER TO MELANCHOLIA?" "VISIONARY. 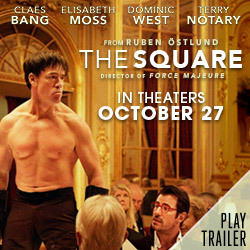 My favorite film of the Cannes Film Festival." "RIVETING. DEVASTATINGLY BEAUTIFUL. 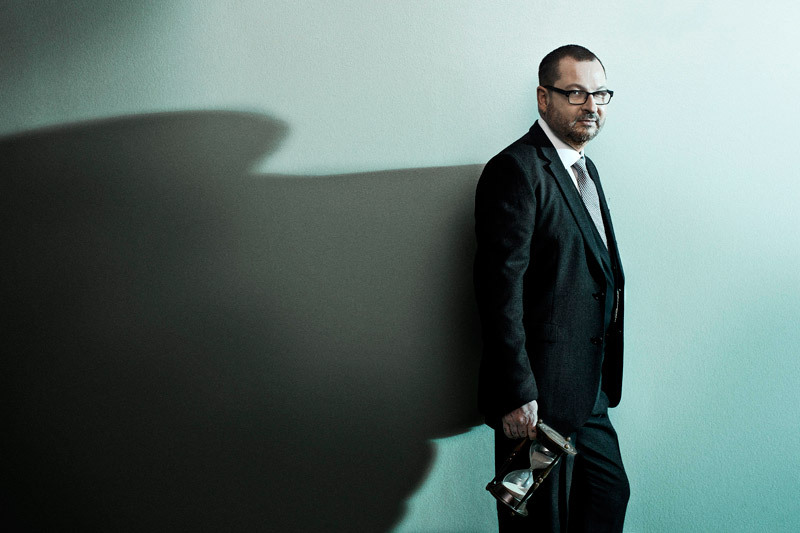 Von Trier is an artist we can’t ignore." "IT IS NOTHING SHORT OF A MASTERPIECE. I can't wait to see it again. It is, in every way, an astonishing achievement." "It is one of the most beautiful, visually stunning, emotionally affecting films I have ever seen and is truly a masterpiece." "THE PROLOGUE IS FILMMAKING AT ITS MOST MAGNIFICENT, TRIPPY, MOMENTOUS, APOCALYPTIC, AND JUST SHOCKINGLY BEAUTIFUL. The performance from Dunst runs the spectrum chart of emotions. Ambivalence, dread, depression, giddiness, desire, eerie calm...it could have been all over the map, but Dunst inhabits this young woman as if she has known her all her life." 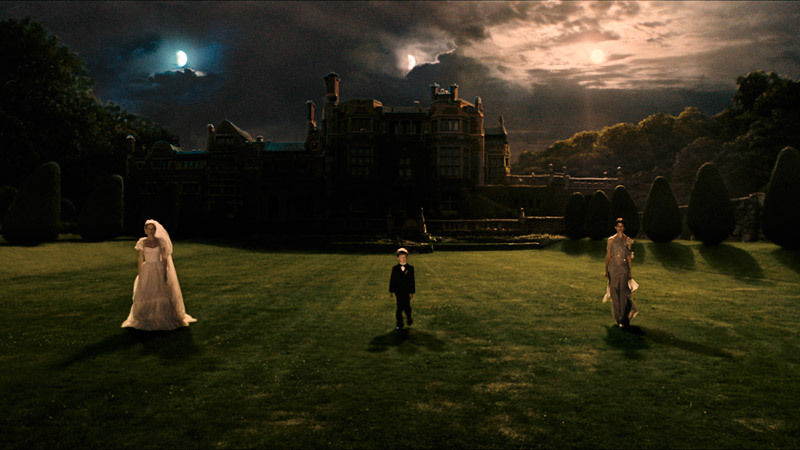 "Von Trier's most amazingly haunting film, a truly beautiful work of art." "There are sure to be many who choose not to view yet another controversial film from a director who likes to antagonize his audience. THEY DON’T KNOW WHAT THEY’RE MISSING." "The fusion of form and content is so PERFECT that it borders on the SUBLIME"
"Currently my pick for the FILM OF THE YEAR"
"A Grade. MASTERPIECE. A work of GENIUS." "***** Audacious, beautiful, tactful filmmaking." "One of the year’s best." "Moody, poetic and incredibly affecting." "Stunning. A movie that leaves the viewer in a state of ecstasy. A moving masterpiece, marked by an astonishing profundity of vision."